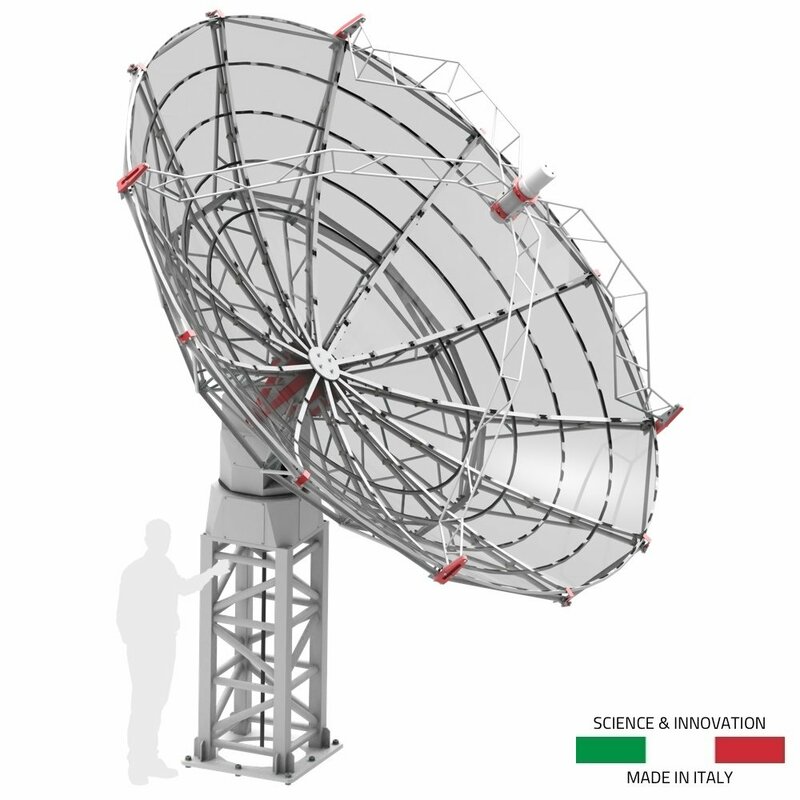 SPIDER 500A is a 5 meter diameter, 1420 MHz radio telescope designed to make professional radio astronomy accessible to everyone: universities, science institutes, scientific museums or space agencies. 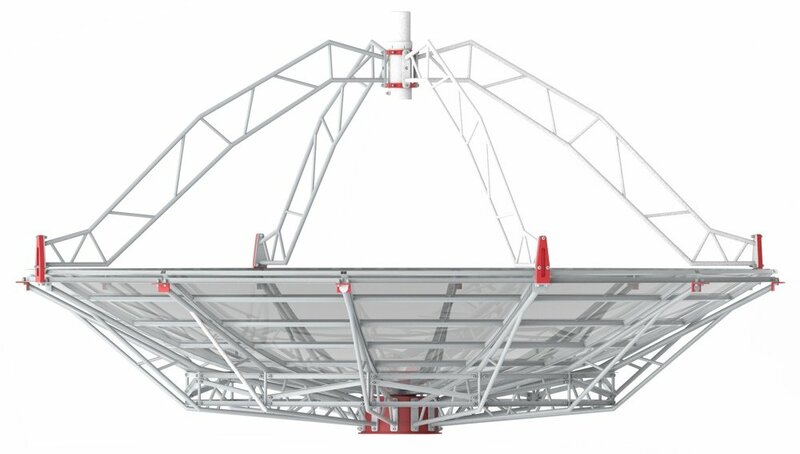 The SPIDER 500A professional radio telescope is a complete, ready to use system equipped with a 5 meter diameter antenna, giant weatherproof alt-azi mount, high load capacity pier, H142-One 1420 MHz radiometer and spectrometer receiver with RadioUniversePRO software. 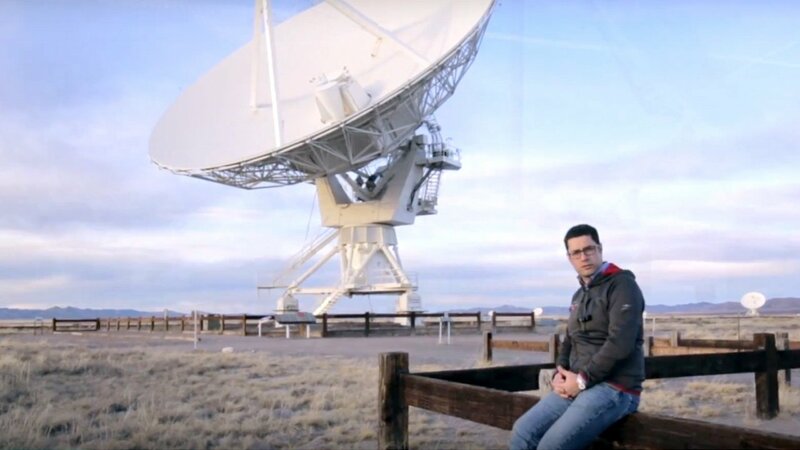 The WEB500-5 parabolic antenna has been developed to get a powerful radio telescope, that, thanks to fine metallic mesh construction, provides a large collection surface with a low overall weight. Special rear supports maintain the rigidity of the whole parabolic antenna on the mount, avoiding any bending and ensuring the effectiveness of the pointing system. This also helps to maintain a perfect parabolic shape with a maximum error of less than lambda/20. Developed specifically for 1420 MHz Radio2Space radio telescopes, the H-FEED feedhorn is designed for optimal illumination of the primary reflector, allowing for high gain while minimizing side lobes and the spillover effect, thus obtaining the best possible performance from the 5 meter parabolic antenna. 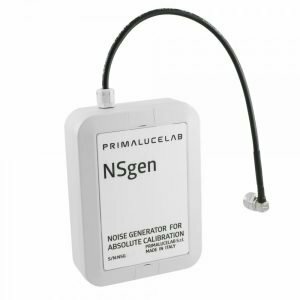 The feedhorn is designed to allow the reception of dual polarization with support for two professional Low Noise Amplifiers (LNA) for the 1420 MHz frequency. 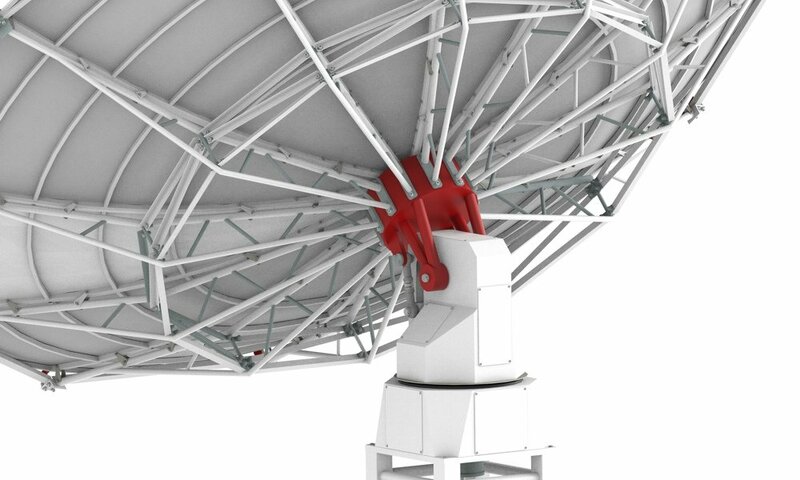 The feed horn is positioned at the perfect point of focus of the antenna through a rigid structure with four supports to minimize obstruction, with a focusing device to precisely focus and maximize the performance of the entire radio telescope. 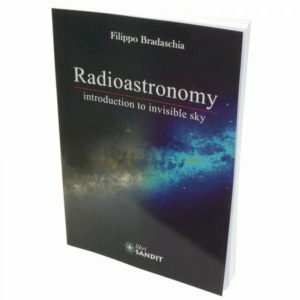 Radio astronomy can be performed during day or night time – even while cloudy, since the 1420 MHz radio waves are not blocked by clouds. 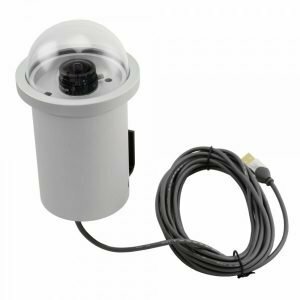 For this reason, in order to capitalize on this opportunity we designed the new WP-400 completely weatherproof, allowing you to leave the SPIDER 500A radio telescope permanently installed outside. Equipped with automatic tracking and goto system controlled by the radio telescope software, it allows you to frame and track your target with great precision. The WP-400 mount has 400 Kg load capacity with very high precision pointing and tracking (encoders with a read resolution of 0,0015°). 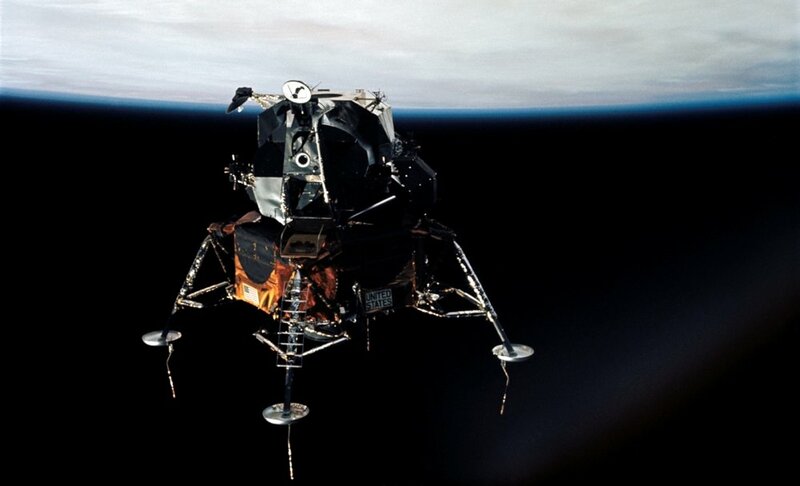 It can also be equipped with a special electronic security system (optional) which “parks” the antenna pointed at the Zenith (the vertical position) when the wind exceeds 50 Km/h, offering the lowest resistance to the wind where it is safely locked. 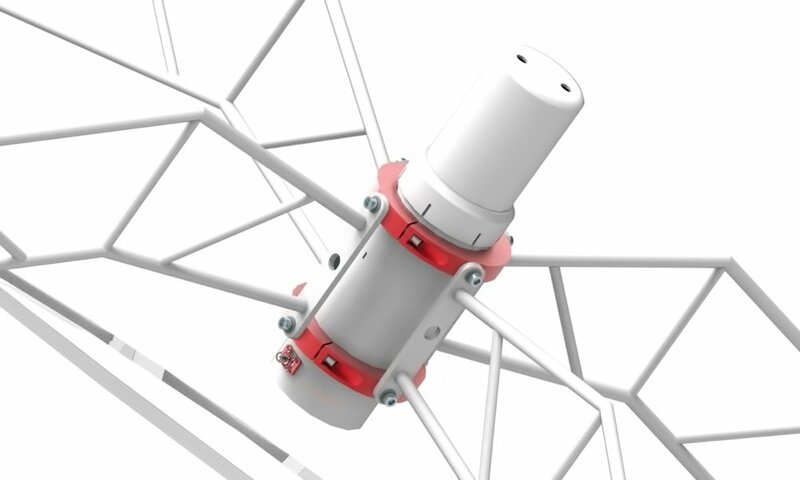 The WEB500-5 antenna, for its large diameter, can generate a lot of force on the ground – When combined with the weight of the WP-400 mount, a very stable and robust anchoring system is required. 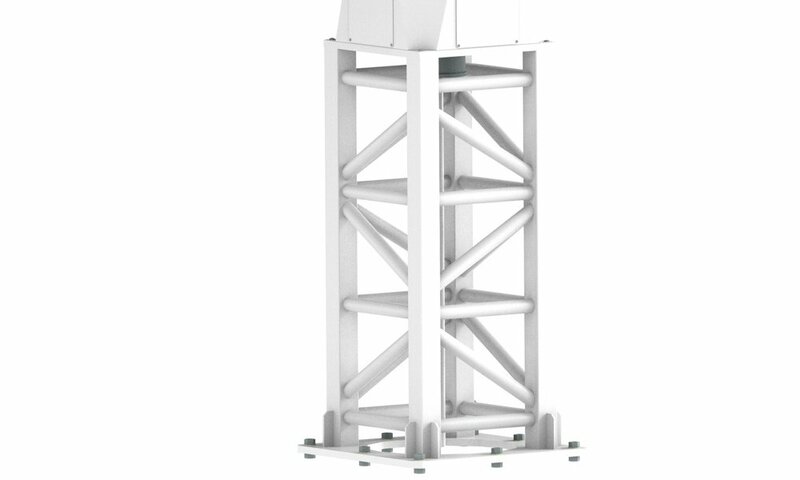 The C400-HEAVY pier offers all of these features, and is designed to keep the SPIDER 500A radio telescope permanently installed in the field. The SPIDER 500A and the C400-HEAVY pier are designed to be installed on a reinforced concrete base, fixed by means of special high strength bolts. Along with the installation and operation manuals for the radio telescope, the complete concrete base designs are supplied, depending on the different types of soil in which you plan to install the SPIDER 500A radio telescope. 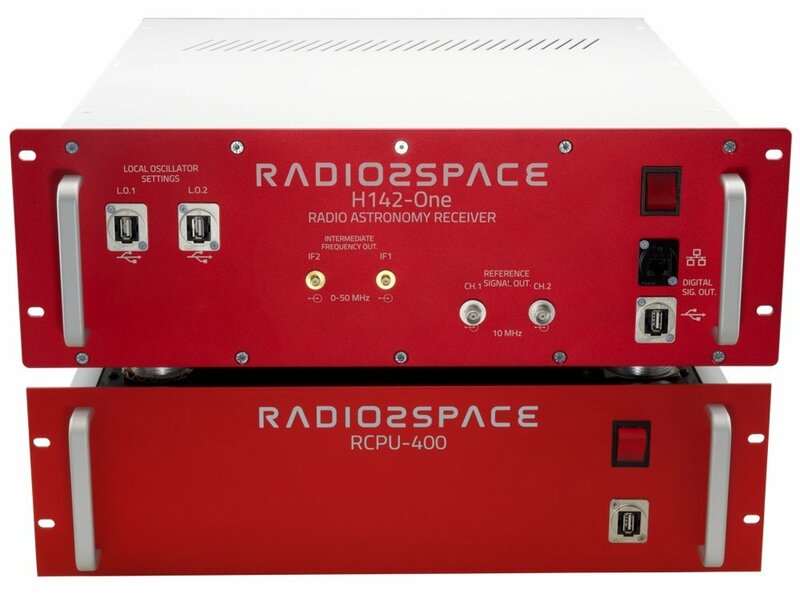 In order to get the best possible performance from the 5 meter diameter antenna of the SPIDER 500A, the H142-One receiver has been specially developed, a 1420 MHz superheterodyne type radiometer/ spectrometer, double conversion (type UP/DOWN) with 50 MHz received instantaneous bandwidth (RF=1.395MHz-1.445MHz) and 14-bit analog to digital converter. The H142-One receiver has spectrometer with 1024 channels (each 61 KHz) that are displayed and processed in real time by the control software supplied with the radio telescope. Thanks to the high gain and the low electronic noise of this receiver, the SPIDER 500A radio telescope is able to record many radio sources in the Universe, with a theoretical flow of at least 5 Jy. 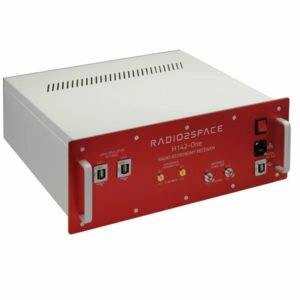 The H142-One receiver and the RCPU-400 remote control and power unit of the SPIDER 500A mount can be installed on a 19″ rack but they can also be placed on a table close to the control computer. 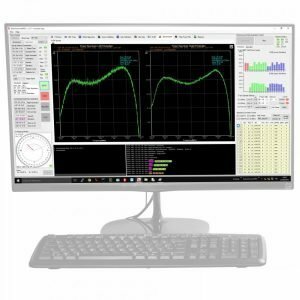 SPIDER 500A comes with RadioUniversePRO software that is specifically designed to allow you to check all the parameters of the telescope, as well as operate and record various results. 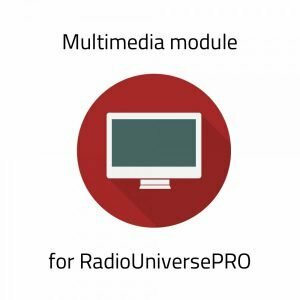 RadioUniversePRO can be installed on a standard Windows computer and is compatible with Vista, 7, 8 and 10. 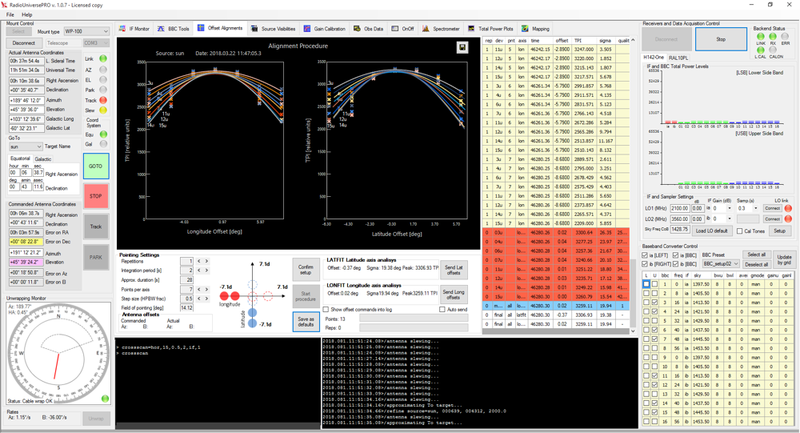 The graphical interface provides a simple mode with integrated planetarium that shows in real time, the position of radio sources in the sky, and then allows you to simply point the SPIDER 500A radio telescope at those sources. 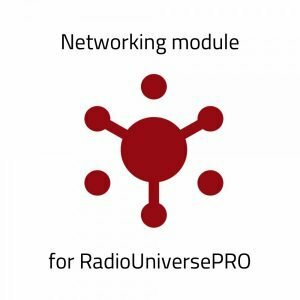 RadioUniversePRO also offers the ability to activate an advanced interface which adds many additional options, customizations and typical functions of professional radio telescopes which are more useful for expert users (features found in RadioUniversePRO offering the same modus operandi of the larger-sized radio telescopes).